Hwy 101 mile marker 296. 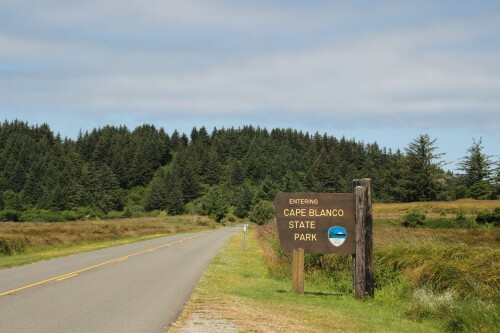 Cape Blanco State Park offers a sheltered campsite, 5- RV hook-ups, four standard cabins, and a horse camp. 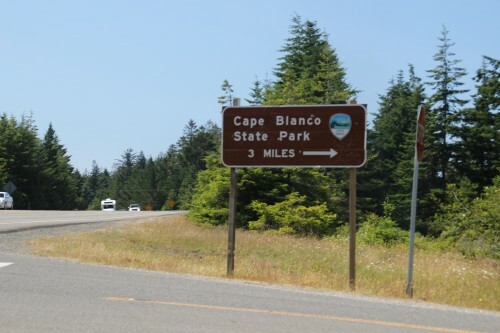 You can reach the park by taking a 3 mile drive off 101. The site also contains a lighthouse, and the nearby historical Hughes House. 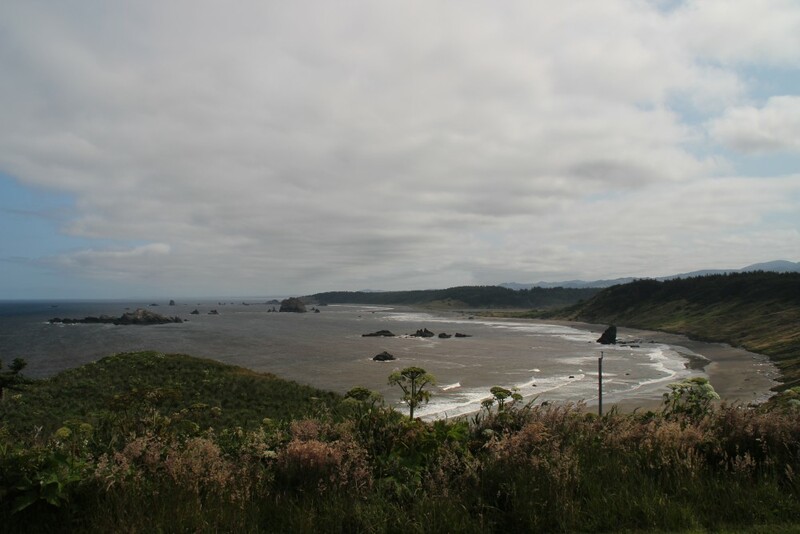 The lighthouse is 59 feet tall and is the oldest, not counting the original lighthouse at Umpqua, which collapsed due to erosion and flooding 6 years after it was built. 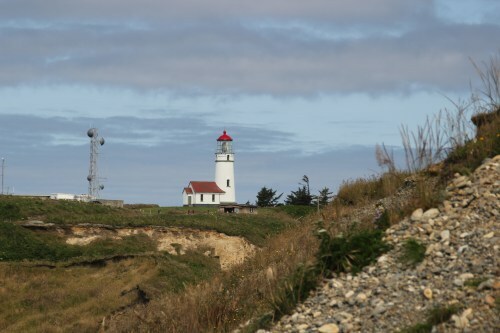 Cape Blanco's lens is a second-order fresnel lens, installed in 1936 to replace the original first-order lens. 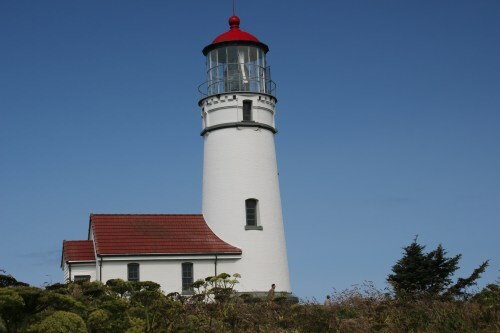 Site Resources: lighthouse, nearby historic house, 4 cabins, campsites, picnic tables, restroom, showers. 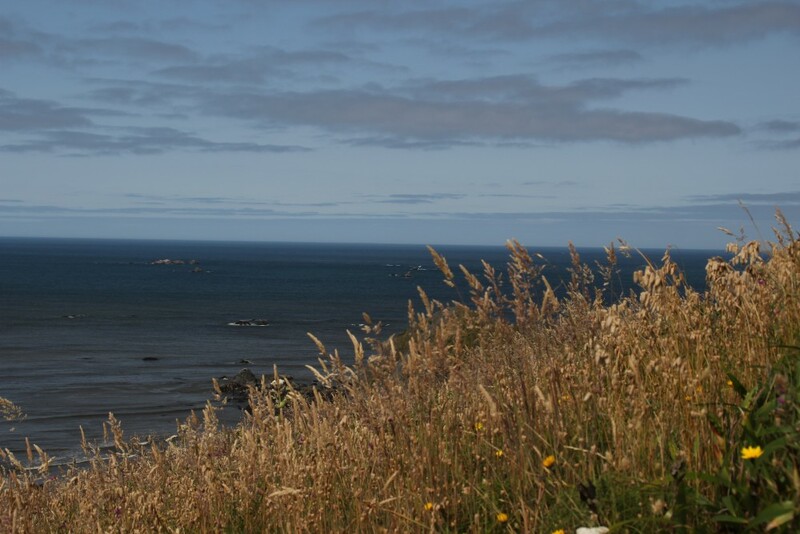 The park is situated on a high bluff overlooking the ocean. Note that it can be QUITE windy up here. Here's a view looking north. You can reach the beach by taking a trail down the cliff.